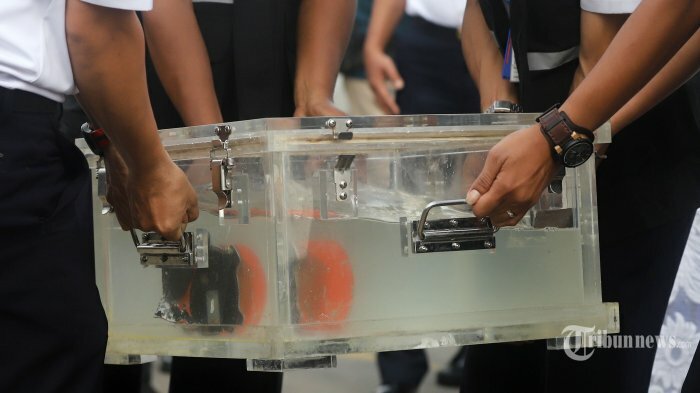 TRIBUNNEWS.COM, JAKARTA – After finding the latest evidence regarding aircraft design issues 737 Max 8, more and more families are victims of the Lion Air JT610 plane crash that will demand justice in the United States. “The latest news is that more and more victims’ families have decided to act,” said Manuel von Ribbeck of Ribbeck Law, one of the lawyers of a law firm representing 45 families of victims killed in the Lion Air JT610 plane crash and who have filed a lawsuit against Boeing in an American court Union. In a press statement on Thursday (3/28/2019), Manuel von Ribbeck suspected Boeing was responsible for the fall of Lion Air JT610 due to dangerous conditions caused by the Maneuvering Characteristics Augment System (MCAS). The MCAS is an automatic safety feature designed to prevent stall conditions, but can force the nose of the aircraft down forcefully. “We consider Boeing to have failed to provide correct information to pilots about the new automatic flight control features and systems on this 737 Max 8 aircraft, and we believe that these failures create conditions that are very dangerous, unacceptable,” said Manuel von Ribbeck. After the accidents of Lion Air and Ethiopian Airlines, more than 40 countries have canceled flights for all 737 Max series aircraft, including America, Australia, the European Union, India, Thailand and Malaysia. “Other countries such as Canada, China and Germany have also stopped using 737 Max 8 because of concerns about passenger safety,” said von Ribbeck. Based on the tracking data found on the JT 610 Lion Air , the pilot cannot lift the nose of the aircraft and keep the altitude in the air because the system automatically pushes the aircraft down continuously 20 times. “Many are asking why the Lion Air case should be brought to an American court and not in Indonesia. Keep in mind that Boeing is headquartered in Chicago, all designs and evidence of aircraft manufacturing by Boeing are 737 Max 8 is in America. “investigating FAA certification on the 737 Max aircraft,” said Manuel von Ribbeck . Artikel ini telah tayang di Tribunnews.com dengan judul This International Lawyer Convey the Reasons for Suing Boeing in US Courts, http://www.tribunnews.com/nasional/2019/03/28/pengacara-internasional-ini-sampaikan-alasan-menggugat-boeing-di-pengadilan-as.